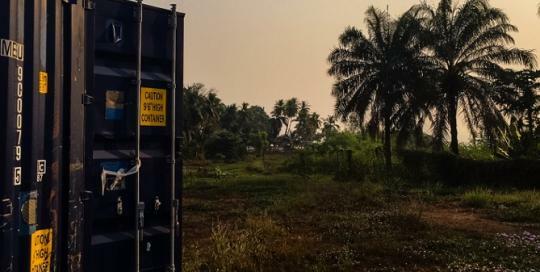 This BioContainer are used in various mining sites around in Guinea and are transported by a truck. 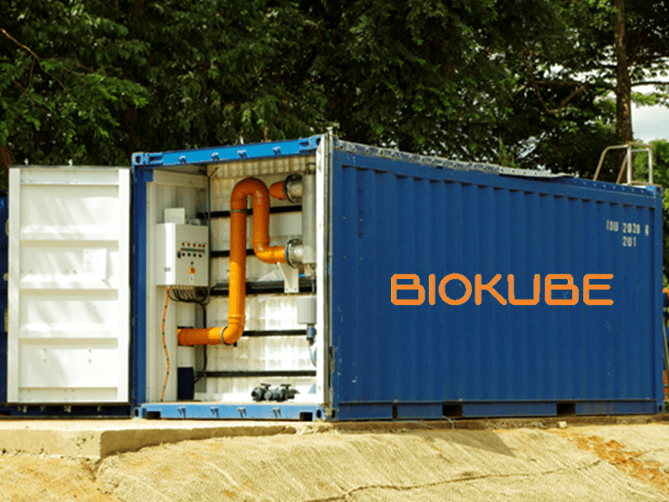 The BioContainer treats wastewater from the entire mining camp and the treated water can safely be lead out to the nature. 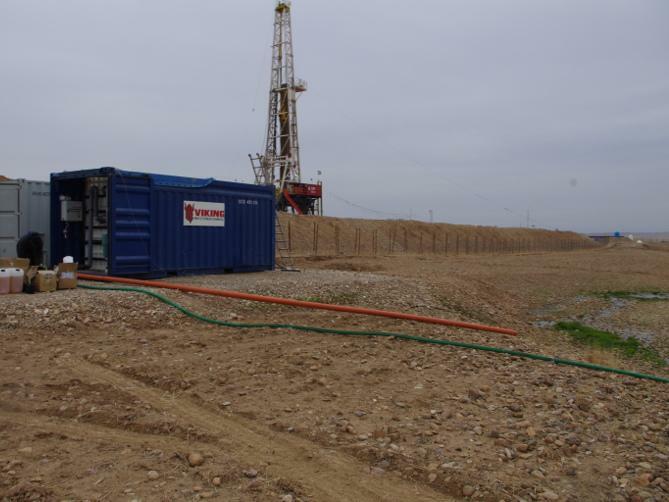 40 feet BioContainer installation in Northern Iraq where mobility for the plant is an essential requirement. 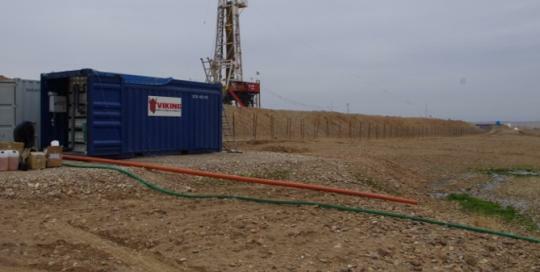 This BioContainer is moved around to various oil fields in Northern Iraq and can easily be lifted to be carried by a truck. The environment in Northern Iraq is very dry and warm, this does not affect the clean process . The treated wastewater are gravitating out to the dry soil as shown on the picture, from here its sparks new live into the dry soil and new grass starts to grow. 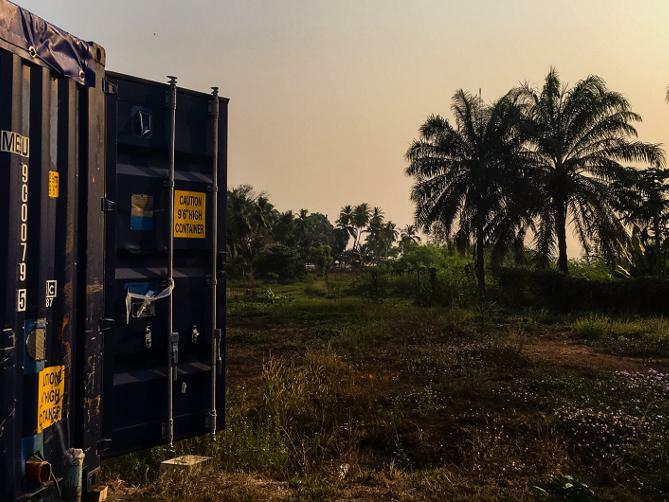 40 feet BioContainer installation in Sierra Leone where mobility for the plant is an essential requirement. 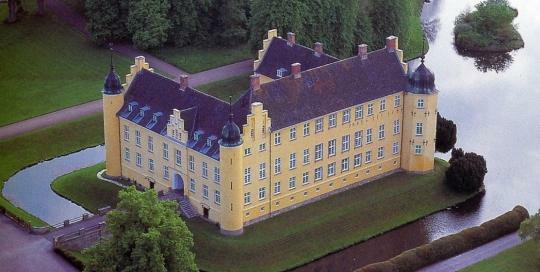 This plant is moved around to various mining fields in Sierra Leone. 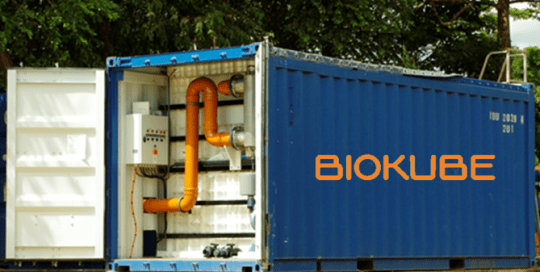 The BioContainer can easily be lifted and carried by a truck. 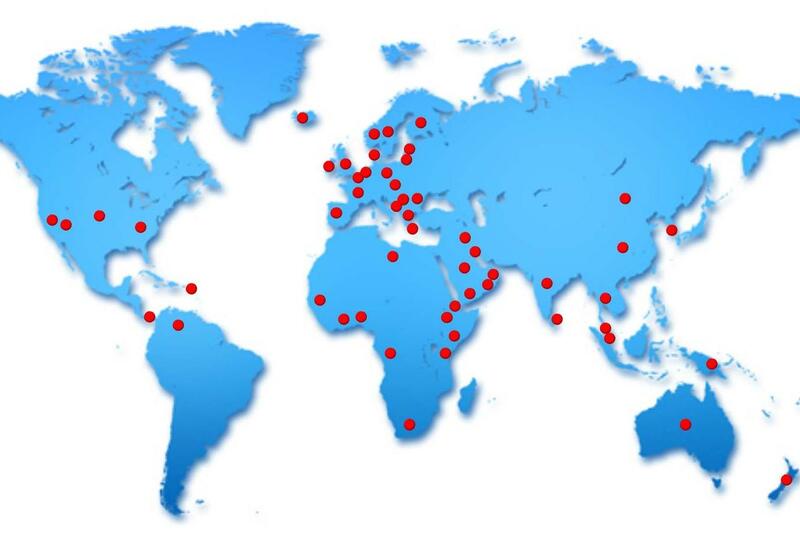 BioKube technician was onsite to ensure the installation has been successful. 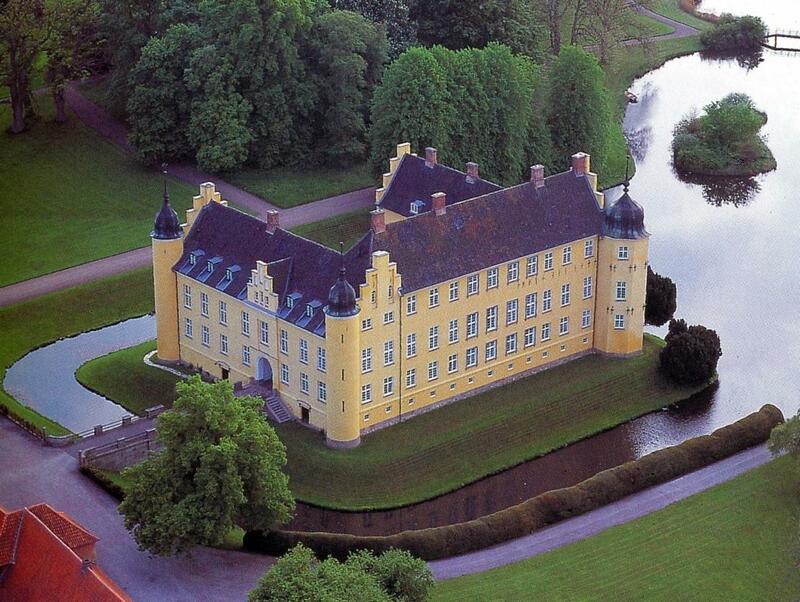 The Jupiter plant treats the proces water from the beer brewery from the castle Krenkerup.